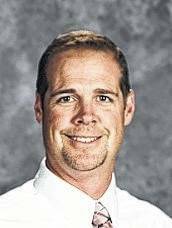 Following a vote by district residents, the Buckeye Valley Local School District will retain the current names of its two elementary schools when the new buildings are completed. Buckeye Valley East is being built around the current elementary in Ashley, while Buckeye Valley West is an all-new building that will be located on land purchased by the district along State Route 257 at Bellepoint. Miller said the district sent a message to the community through Facebook and the district’s website soliciting ideas for new names for the buildings. He said in round one, in December 2016, 1,895 people voted online with 16 voting by traditional mail. In round two, in May 2017, 1,097 voted online and zero voted by mail. Miller said the 50 names that were submitted mostly centered around historical figures from the area and the waterways around the school district. “The Facilities Advisory Team then narrowed these suggestions down to four pairs and then there were two rounds of voting to determine a winner,” Miller said. Miller said the final four pairs of names were Elm Valley and Scioto Valley, Ashley and Bellepoint, Traditions and Heritage, and East and West. The top two contenders — Elm Valley/Scioto Valley and East/West — were submitted to the community for the final vote. Construction of the two new schools was made possible by the passage of a $31.25 million bond issue in November 2015. The goal is to complete the project in time for the 2018-2019 school year, said Miller. The projected cost for Buckeye Valley East Elementary is $11.6 million. It will serve 475 students. The projected cost for Buckeye Valley West is $13.6 million. The school will serve 625 students. Currently, the district is pursuing legal action to obtain the property next to Buckeye Valley East, 530 East High Street, to complete construction of the elementary school complex. The school district filed a petition in the Delaware County Court of Common Pleas, General Division, in January to appropriate the property next to Buckeye Valley East. Miller said the bus loop is important because it allows access to the school from the east and keeps bus and car traffic separate, allowing for more student safety during drop-off and pick-up times. The property at 530 East High Street in Ashley is currently home to the Haunted Hoorah, a local Halloween attraction that’s been operating for the past four years.